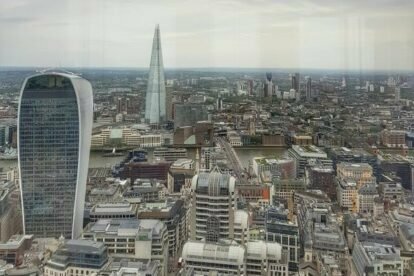 I discovered Vertigo 42 Champagne bar when I was searching for a special bar to visit on my birthday that offered sky-high panoramic views of London. Although popular, it isn’t as well-known as similar bars such as Aqua Shard or Duck and Waffle. And unlike such bars, you don’t need to book a table weeks in advance or spend a fortune on a couple of pricey drinks just to grab a spot. Located slap-bang in the middle of the city close to The Gherkin, I have to say being delivered up to the top floor in the elevator is quite exciting. On arrival the bar seemed smaller than I expected, but both chic and cosy at the same time. Although it is a Champagne bar by specialty, I indulged in a Crystal Lychee cocktail or two to mark the occasion. The drinks are pretty costly but really you are also paying for the view and compared to similar bars it is quite reasonable. As expected, the views were impressive, with the city sprawled out as far as the eye could see. If you decide to visit, remember to don your glad rags; this place is pretty classy.